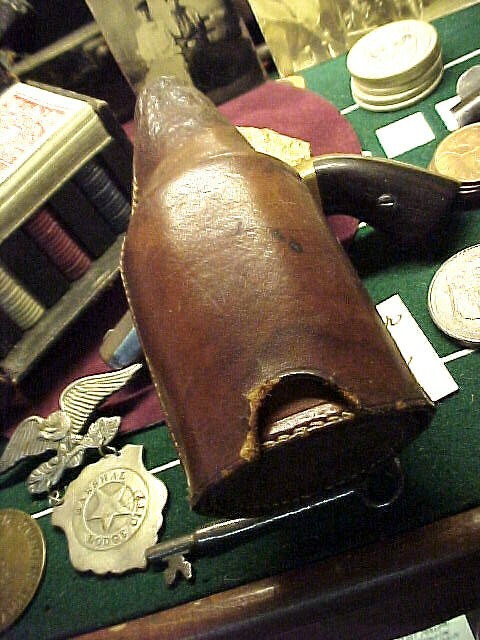 This is a very unique Leather Shaped Bottle and leather dice cup from ca 1900. Height 5"inches. Great Gambling Collectible. This is a very unique Leather Shaped Bottle and leather dice cup from ca 1900. Height 5"inches. Great Gambling Collectible. Please email cowboyron@cowboycabin.com with questions or call 406 270-2842.